•	When a new user is created. •	When a new ticket is created. •	Create requester - allows you to create a requester in Freshservice for your support domain. 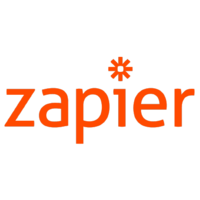 When you create a Zap that includes Freshservice as one of the apps, you will need to add your Freshservice account to Zapier and provide the API key. 1. Click on the "Connect a Freshservice account" button. 3. Enter the subdomain of your Freshservice account. 1. Login to your Freshservice account.